We're also continuing to work on other issues like improving play control, minimizing lag, and implementing the classic movement cursor. Your feedback is absolutely invaluable to us. By beta testing these new features, you're helping to make Poptropica better for everyone. And that's important! If you've already played through the test and sent us your responses, we'd love for you to go through again and let us know how the changes worked for you. If you're a Member and haven't played 24 Carrot BETA Carrotene Island yet, visit Poptropica now to get started. Not a Member? Find out how to get Membership. When you visit the Poptropica Shop page, just click on the character you'd like to see on your shirt. Then click the "yes" button to see all of your options! It's just that easy. I can't wait to start seeing my face around town. 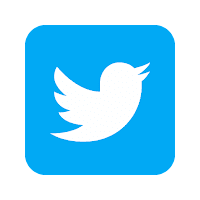 What's the latest with Poptropica Friends? Now it's a book! This little tome is jam-packed with 128 pages of quizzes and activities that are all about you, your friends, and your life. It's like the Poptropica website come to life! Poptropica Friends will be available on August 1. It's available for pre-order on Amazon.com right now! 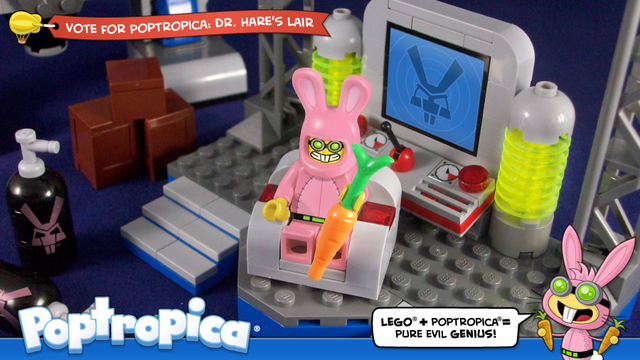 We still need 2,300+ more votes to reach 10,000 supporters for the Dr. Hare's Lair Lego project. 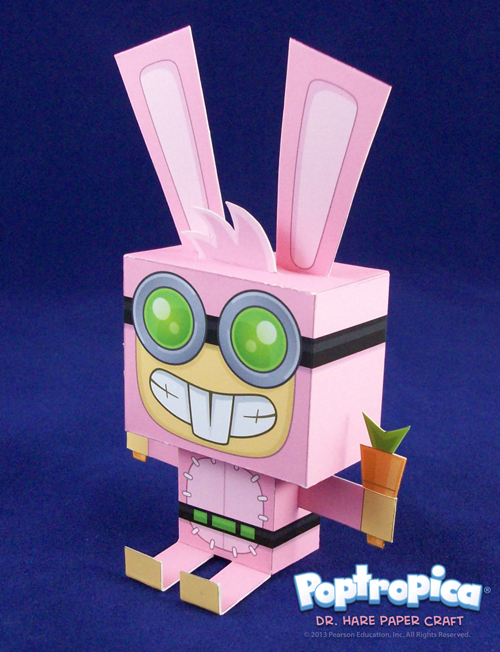 To help you visualize just how cool a Dr. Hare Lego set would be, we've created this Dr. Hare Paper Craft for you to print out and assemble. We're sure all you evil geniuses in the making could whip this up in a matter of moments. If you haven't already, don't forget to support "Dr Hare's Lair" today! If you're under 13, ask your parents or an older sibling to cast a vote of support. How could one refuse, when presented with a super cool paper Dr. Hare? Virus Hunter Island is coming soon to Poptropica! Let the testing begin! 24 Carrot BETA Carrotene Island is now available to Poptropica Members. This is your chance to get a sneak preview of the next generation of Poptropica, while also helping us make important improvements. To play 24 Carrot BETA Carrotene Island, grab the Gold Card from the Poptropica Store (pictured above). Or just click on the slide on your Welcome Back page. 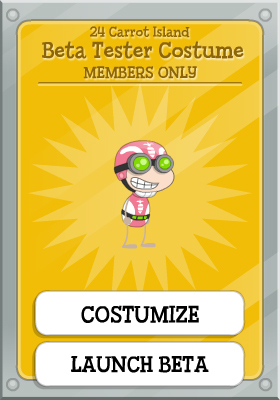 The beta test is for Poptropica Members only, so if you're not a Member, find out how to become a Member today! Remember, although there are a lot of new features to try out, like a soundtrack and a bigger screen, the beta is still missing some things you're used to, like the costumizer and the ability to save your game. Fear not, those features will be returning! Also, the cursor is not staying that way. So head on over to Poptropica to play 24 Carrot BETA Carrotene Island and check out all the great new features we've got coming up! Who's that striding through the door? Must be a real hero. Wow! That's a lot of extra real estate. More to see, more to explore, more to enjoy. And did we mention that all of this will be happening at a smoother frame rate? Yes, sir. There's going to be a lot more of Poptropica to enjoy. 24 Carrot BETA Carrotene Island is coming soon. We'll let you know just as soon as it's available. Sometime this weekend we passed another crucial milestone on our LEGO CUUSOO project. We now have more than 7,500 supporters! As promised, the Dr. Hare Ears Power is now available for free. To get this card, all you need to do is enter the code DRHARE7500. 7,500 votes is great, but it's not our ultimate goal. We're not done until we get 10,000 supporters. So enjoy the fruits of your labor thus far, but if you haven't yet supported our project -- or, if you're under 13, gotten someone over 13 to cast a vote for you -- now's the time! Support "Dr Hare's Lair" today! This weekend only, you can get 30% off your order of personalized apparel at the Poptropica Shop! Just enter the code POP30 at checkout to claim your discount. This offer will end on Sunday night at midnight, Eastern time, so don't delay. Visit the Poptropica Shop today! Have you ever wanted to make everyone look as good as you do? You'll be able to soon, if we can just pass the 7,500 supporters mark for our LEGO CUUSOO project. We're close -- only a couple hundred more to go. Once that happens, we'll give away a free code that will let you put pink bunny ears on everyone you see in Poptropica, whether they like it or not! See, being an evil genius is fun. So support our LEGO CUUSOO project today, or find someone to cast a vote for your if you're under 13, and we'll give you the power! Have you ever wanted to create your own Island? Now's your chance! The Poptropica Island Creator Kit is an activity book that will walk you through all the same steps we take when we make a new Island. You'll come up with a storyline, create characters, and design puzzles. There are some surprises in store, too. The Island Creator Kit will be available on August 1, and it's available for pre-order right now on Amazon! LEGO CUUSOO: The next milestone approaches, and so does a new prize! Minions, we are verging on another major milestone in the march to get our LEGO CUUSOO project fully supported. As I write this, we have nearly crossed the 7,000-supporter mark. By now, you know the drill. If we can reach 7,500 supporters -- three-quarters of the way to our goal! -- we'll be handing out a new, free item. The "Dr. Hare Ears" power will become available via a code if, and only if, we make it to 7,500 supporters. So don't wait around. Help us reach our goal and move one step closer to making "Dr. Hare's Lair" a reality!